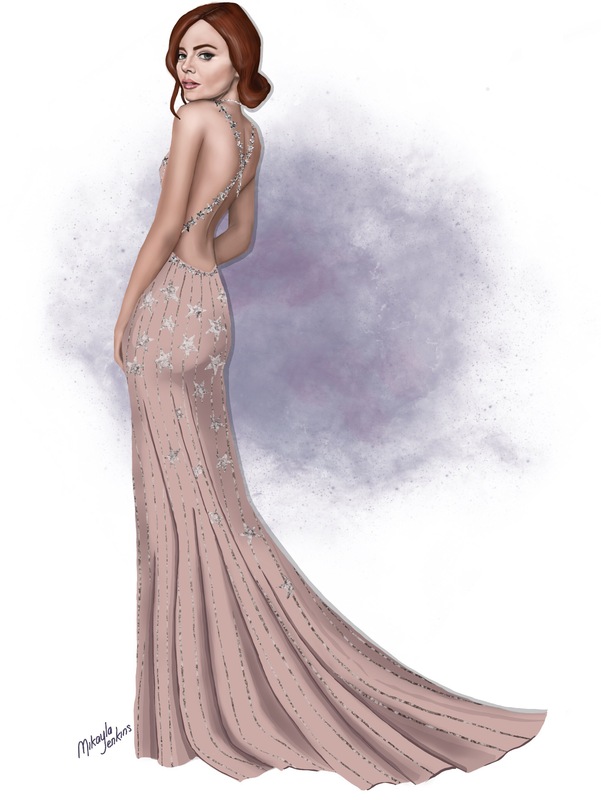 There were so many divine looks on the Golden Globes red carpet this year, so I had to draw another one (you can see the first one, featuring Lily Collins, here). Emma Stone looked amazing in this Valentino pale pink gown adorned with stars. Below is my first attempt at creating an animated piece. I’ve been wanting to play with animation, and the celestial vibe of this gown inspired me to give it a try.